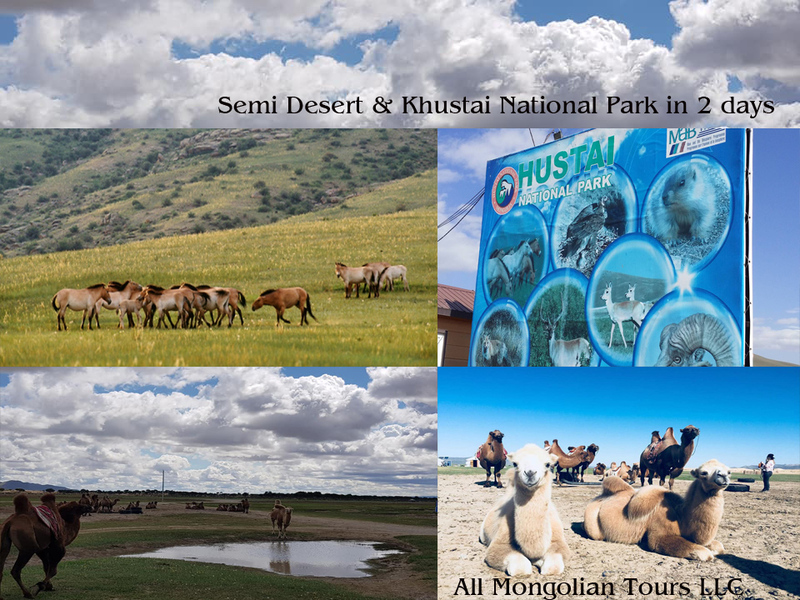 Brief introduction: Semi Desert Elsentasarkhai is located 106km from UB city and here you are able to ride shaggy camels and go hiking around sand dunes. This area is very special because you can see sand dunes lasting trough grassy areas. 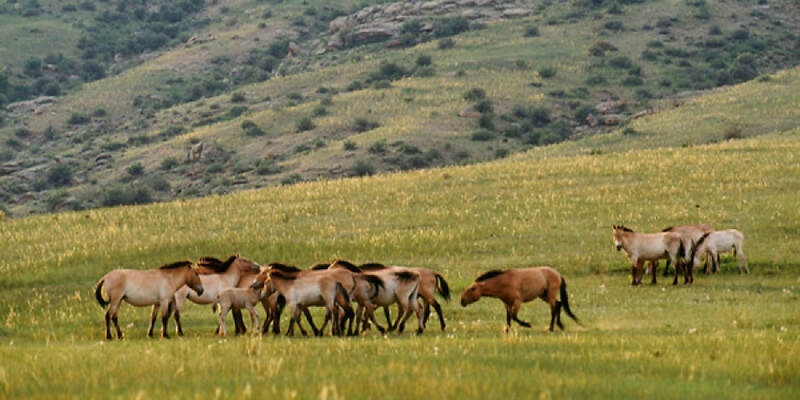 Khustai National Park is joint project to relocate wild horses in Mongolia. Total way of drive: 212km on paved road.